This guide is to help you, you and your partner or you and your family get ready for your outdoor photoshoot so you get the most out of your photography experience. I want to prepare you ahead of time, to photograph you being you, so your session is fun and memorable and I can then capture natural pictures during your photoshoot resulting in ultimately gorgeous, timeless family images that you will treasure for a lifetime. Please, never hesitate to share your ideas with me! Choose your clothes in advance and make sure that your outfit choices are comfortable and attractive that fit well. Chooes outfits that suit the location. Have all the family in co-ordinating outfits. Adding fun accessories like scarves, headbands or hats can add a modern twist to your images. Wear shoes suitable for the location. Bring an extra set of clothes, especially for children and toddlers as they may get grubby. To create images that are special to you choose a location that has meaning for you. A location or two that reflects you and your family. Please don’t schedule your photo session around your child’s nap or bedtime. But the best time for light is a couple of hours before sunset where the light will be softer with lovely warm tones. Don’t show up to a photo shoot on an empty stomach, we don’t want grumpy pictures or to have to rush the session. Bring drinks and snacks. Leave plenty of time for showers, dressing, and grooming. Treat yourself and have your hair and makeup professionally done or spend plenty of time on your own makeup. 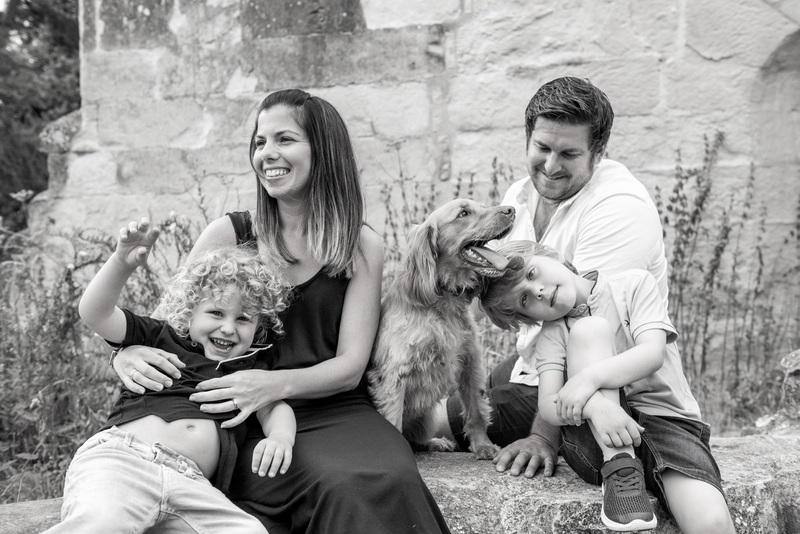 If you show up to a family photo session rushed and disorganised, it could add stress to the shoot. Be cheerful participants. You might dread the family photo session, but please understand how important capturing your family is. These images will be left as a legacy, when your children are grown, the photos are treasured forever and they are so important. You want smiles! Please don’t stand behind me and shout to the children “Say cheese”. Yelling and demanding young children to look at the camera to smile will only stress your children out and will result in strained, unnatural and often unflattering photographs. Step back and allow me to naturally interact and talk with your children. This will result in natural, gorgeous smiles. Help me capture the true essence of your child’s personality by talking with and coaxing out those smiles naturally and easily. Don’t be afraid to pick up your children and toss them in the air. Give your wife a sweet kiss on the check. Tell your husband how much you love him and appreciate him for being there for your family. Have fun. Laugh. Giggle. Joke. Embrace. Kiss. Snuggle. Play. Doing these things will allow me to capture the emotion and true beauty of your family. Show me who you really are, so that I have the opportunity to capture your love and personality through the lens. The most successful family sessions have incorporated an activity that the family loves to do together. This gives you something to do with your hands and feet, engages the little ones, and brings an authentic smile to your face. Do you love to read together? Bring some books. Bring some ice cream bars or even hire an ice cream cart to come to your session. Play boardgames like Twister or Monopoly during your family photo session. Other ideas include: football, Frisbee, piggy back rides, races, bike riding, hiking, singing, picnics, the ideas are endless. When your family is engaged in doing something that you love together, I will have the opportunity to take some beautiful and authentic photographs that are a real memory of your family. The best photographs are often the ones where everyone is engaged or interacting with each other. Not every picture needs to have everyone looking at the camera and smiling at the same time. If you are engaged as a family your eyes will be on your family members and your smile will be natural. These are the photographs that you will cherish most.